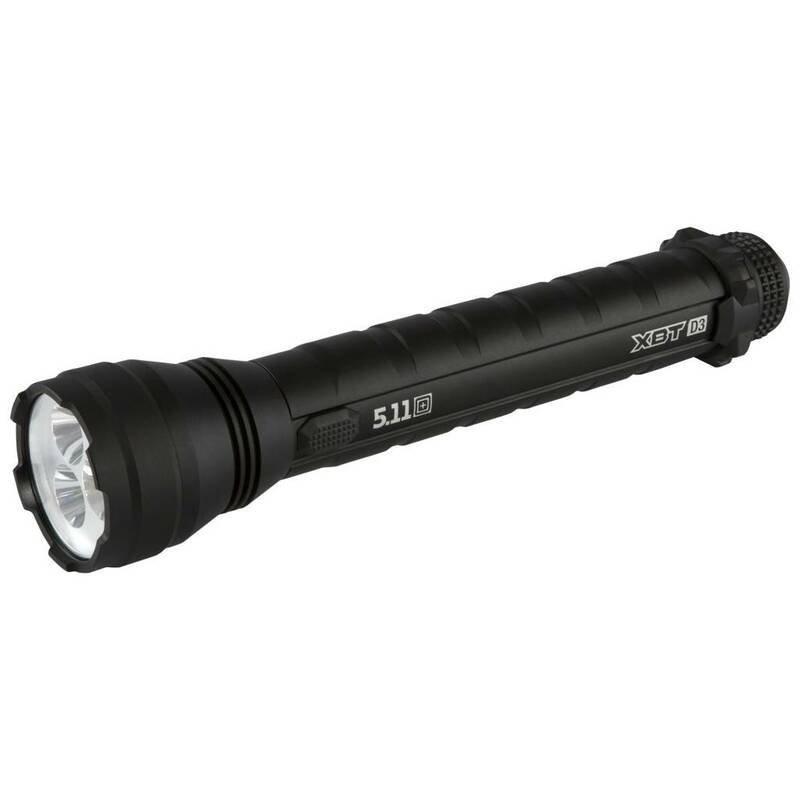 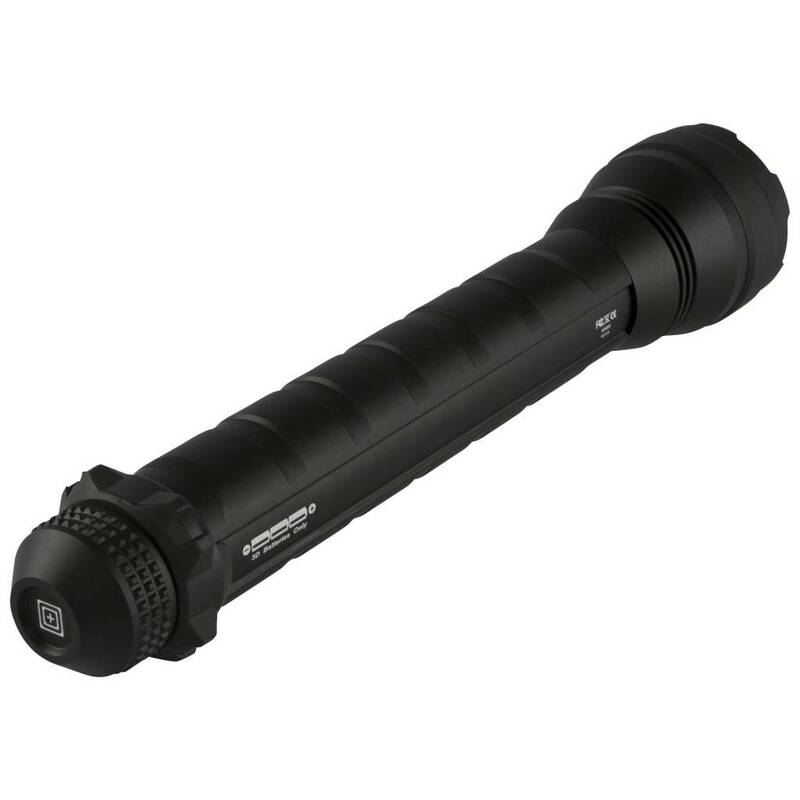 Perfect for everyday use by LE, Security Professionals, and other who need to illuminate large areas or deliver an extreme amount of light on target, the XBT D3 Flashlight provides two output levels and more illumination than almost all other flashlights. 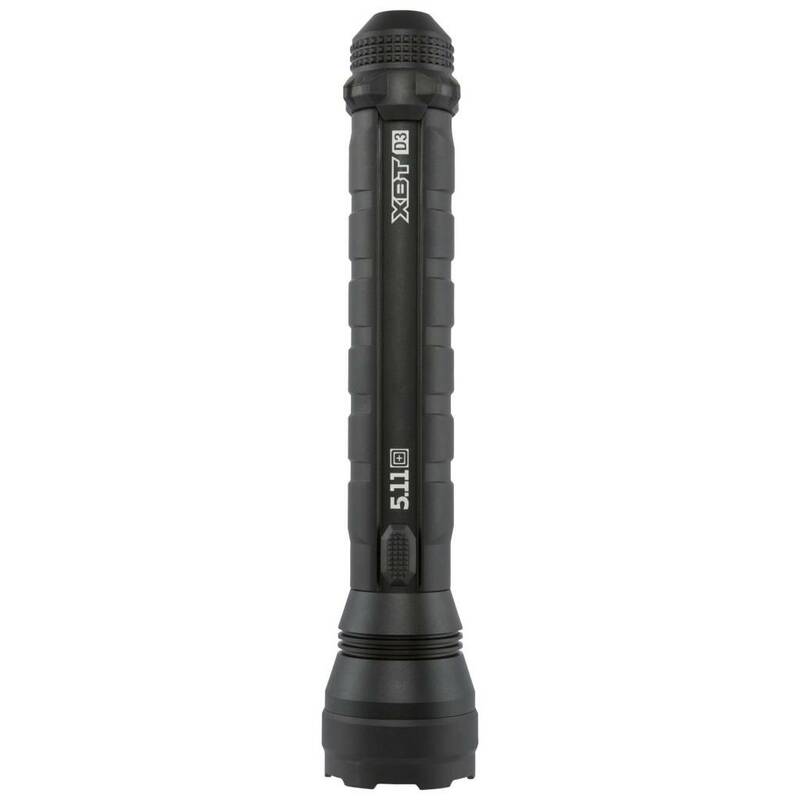 Perfect for everyday use by LE and Security Professionals and others who need to illuminate large areas or deliver an extreme amount of light on target, the XBT D3 Flashlight provides two output levels and more illumination than almost all other flashlights. 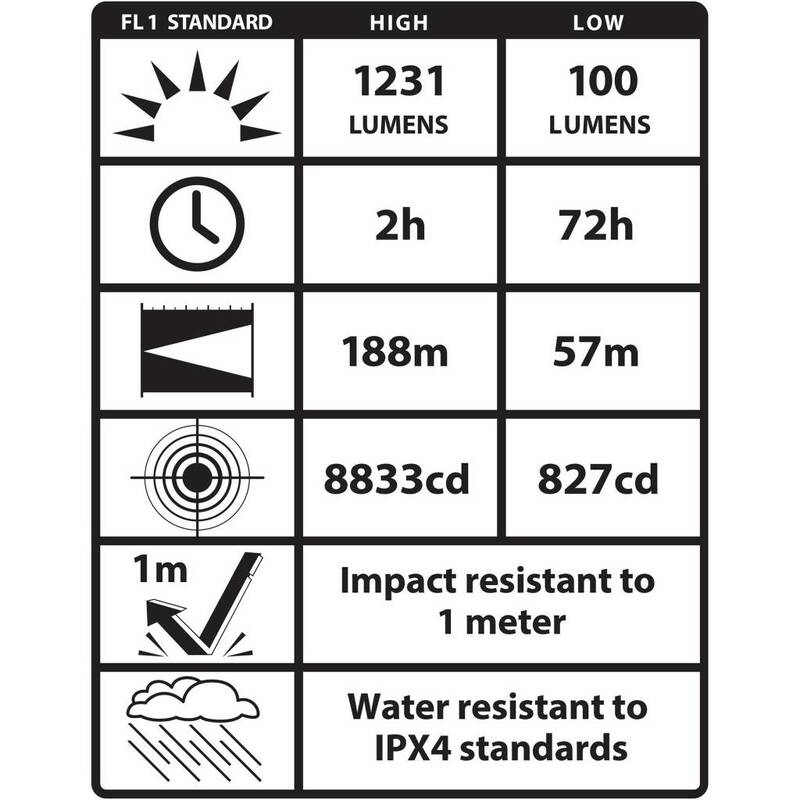 Top quality components such as Aerospace Grade aluminum, a top quality polycarbonate lens, a regulated circuit, and three (3) Cree® XMLB LEDs provide superior durability, output, and run time. 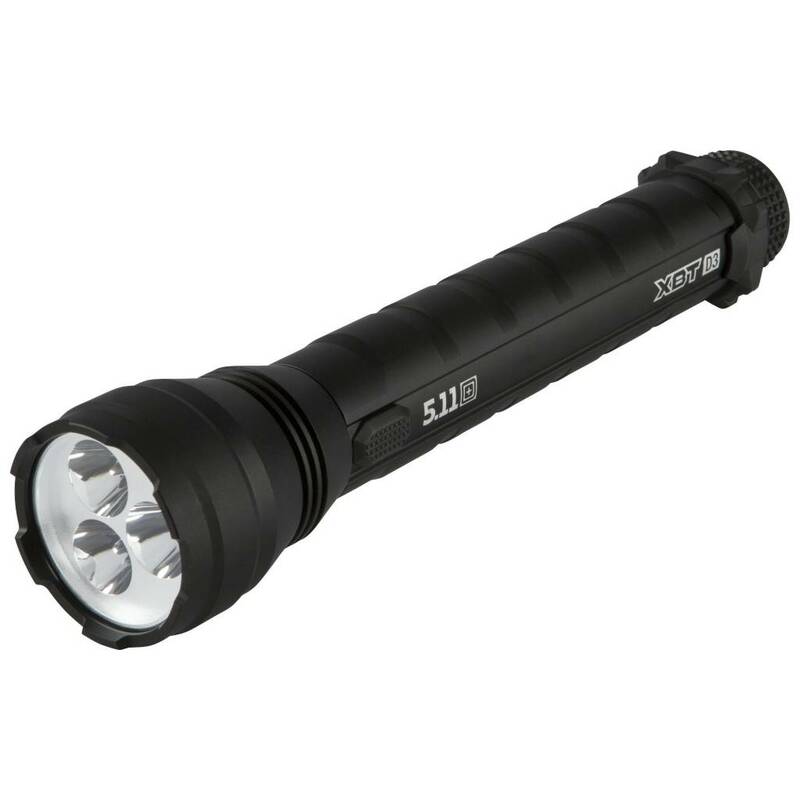 The XBT D3 is powered by three (3) economical D batteries (not included) and casts 1231 lumens of light on High and 100 lumens on Low. 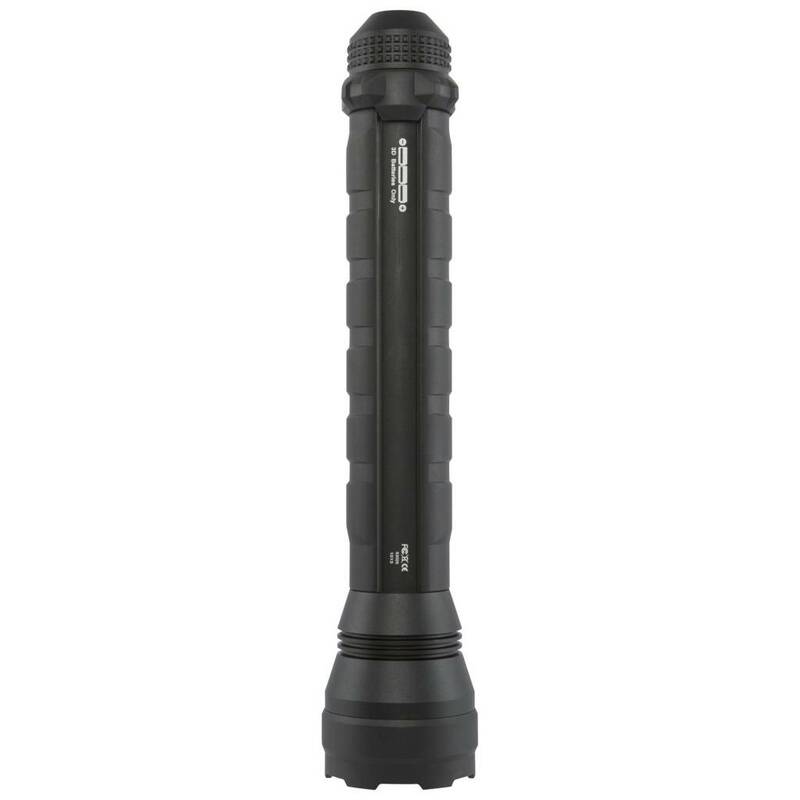 Additional features include the crenellated bezel, an anti-roll rubber ring, and water and impact-resistant construction for all-around dependability.